My great-great grandmother's maiden name--SOLVED (I think)! I'd posted about 3 months ago about how my great-great grandmother's maiden name was given as "Christ" on her daughter Jenny Diamond Dorfman's marriage license--not quite the typical Jewish family name! There were lots of ideas given via facebook, but it was all conjecture. Last week, a cousin posted a letter that Jenny's daughter Ida Dorfman Hall had written in 1980. I'd seen this letter before when we first figured out the connection to this branch because of DNA testing. Ida had mentioned a cousin Sam who had left Europe along with her, her mother, and her brother. I'd identified the cousin on the manifest, but the name meant nothing to me at the time, so I assumed he was likely related on Ida's paternal side. But seeing the letter again made me pull up that manifest. 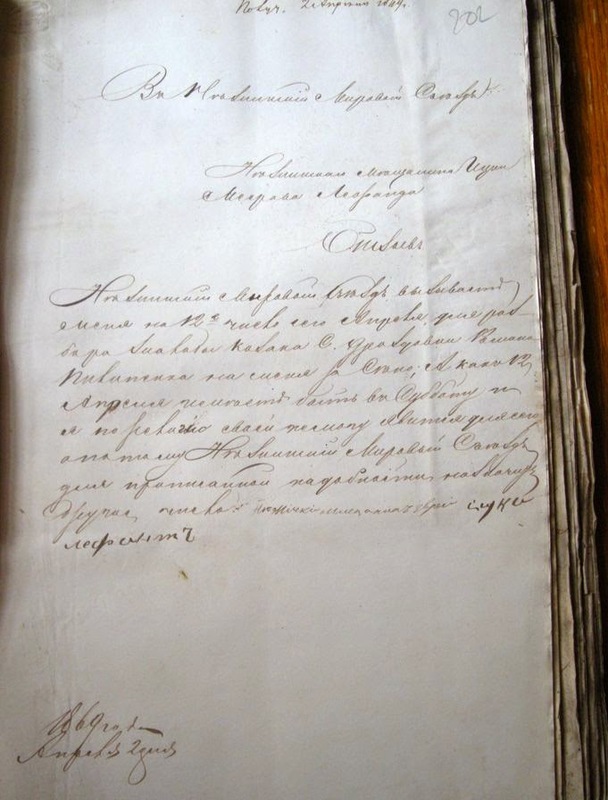 My Zitelman/Suttleman family at one time lived in Muravitsa (adjoining Mlyniv) in the Russian Empire; the town is now in the Dubno district of Volhynia, Ukraine. My great-great-great grandfather, Pesach Hirsch Zitelman, was living there in 1858, when 11 Jewish-owned houses--including his--were burned down. My great grandfather, Isadore Tolchin, was born Yitzchak Tolchinsky on December 26, 1889, to in Losinovka (just south of Nezhin, Ukraine) to Hillel and Pesha Riva Tolchinsky. Yitzchok was the oldest of the at least 11 children. 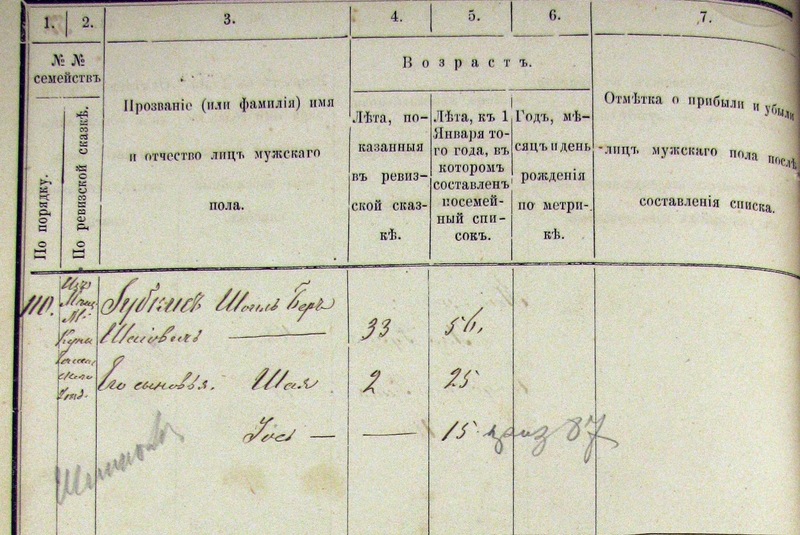 In 1902, Yitzchak appeared in the Russian Empire's Poll Tax Census as a 13-year-old living with his parents and siblings. His uncle Hirsch lived next door with his family as well as with Hirsch's mother (and Hillel's stepmother), Risha Frayda. This is the eighth in a series tracking the children of Mira Halperin Lefand Marienhoff. You can see everything in this series to this point here. Hirsch Marienhoff was born on April 1, 1893 in Nezhin, Ukraine to Mira and Yitzchak Marienhoff. He is the last (recorded) child of Yitzchok & Mira. 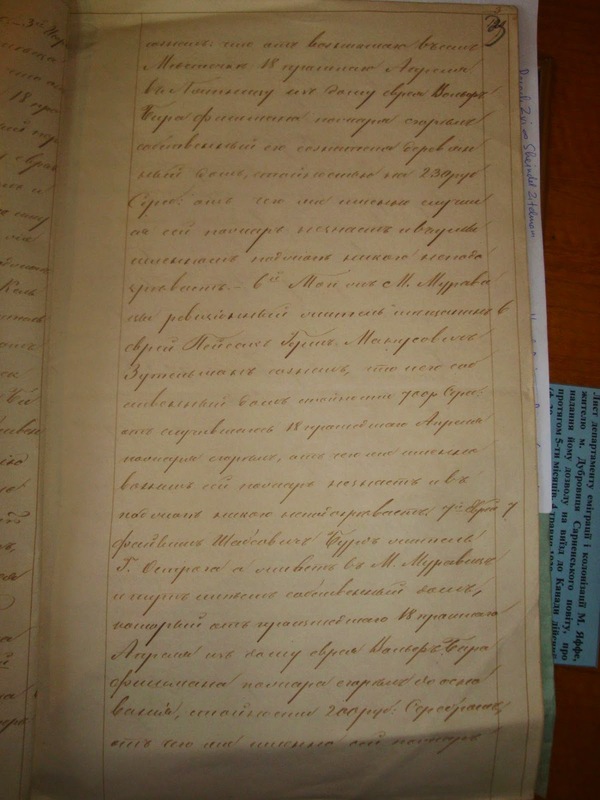 Hirsch spent his early childhood in Nezhin, but in 1906 he came with his mother, some of his siblings, and his nephew (who was older than Hirsch and also my great grandfather) to America. 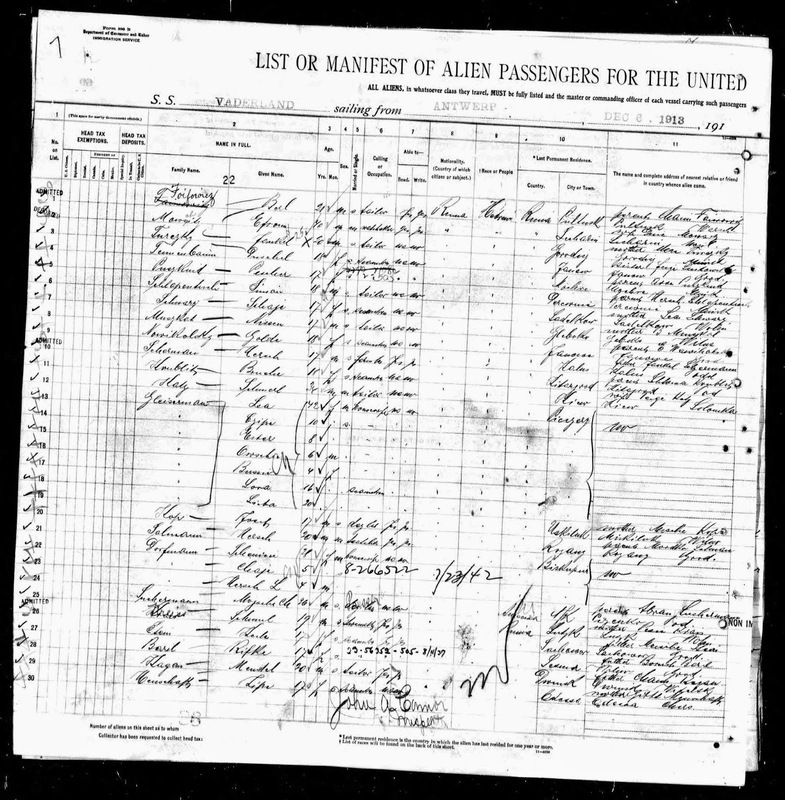 This is the seventh in a series tracking the children of Mira Halperin Lefand Marienhoff. You can see everything in this series to this point here. 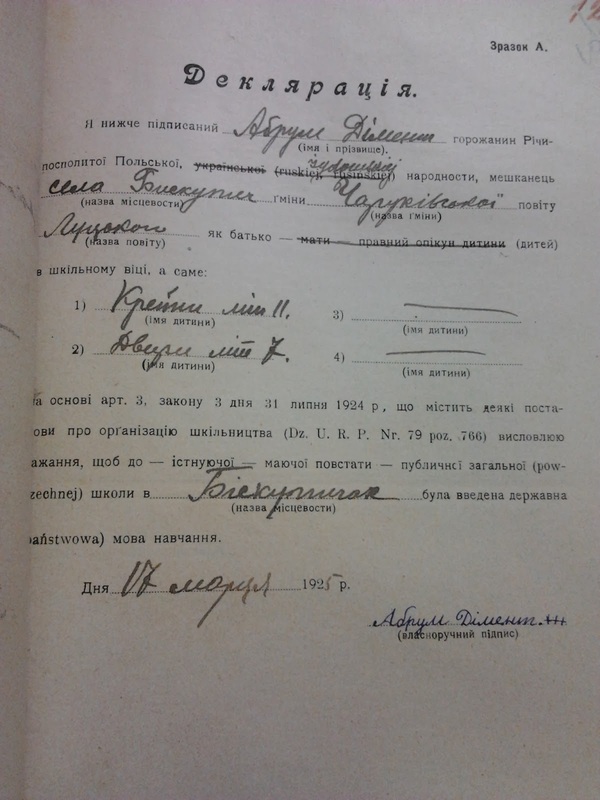 I have no birth record for her (and none seems to have been recorded in the Nezhin records); as you will see below, her birth year based on information in records was somewhere between 1888 and 1895. 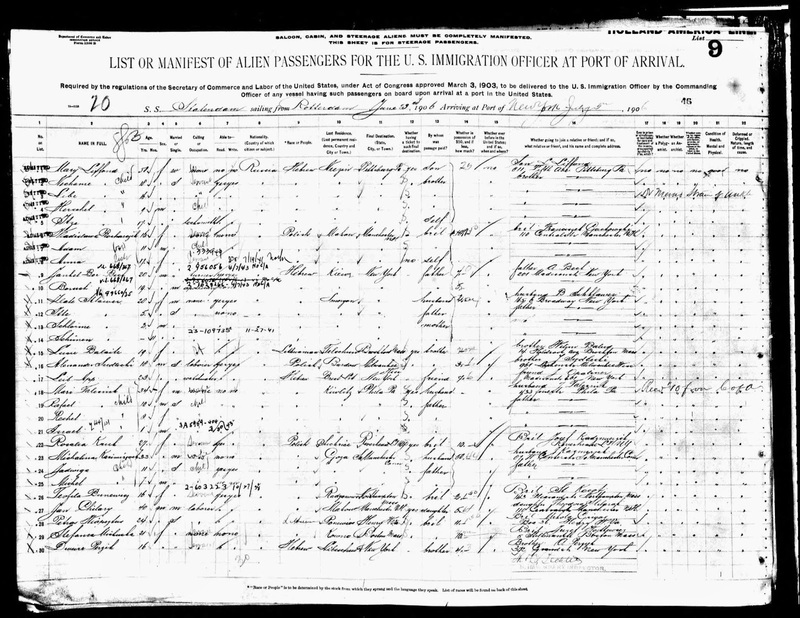 The first record I have for Nechama Marienhoff is her immigration to the United States in 1906. 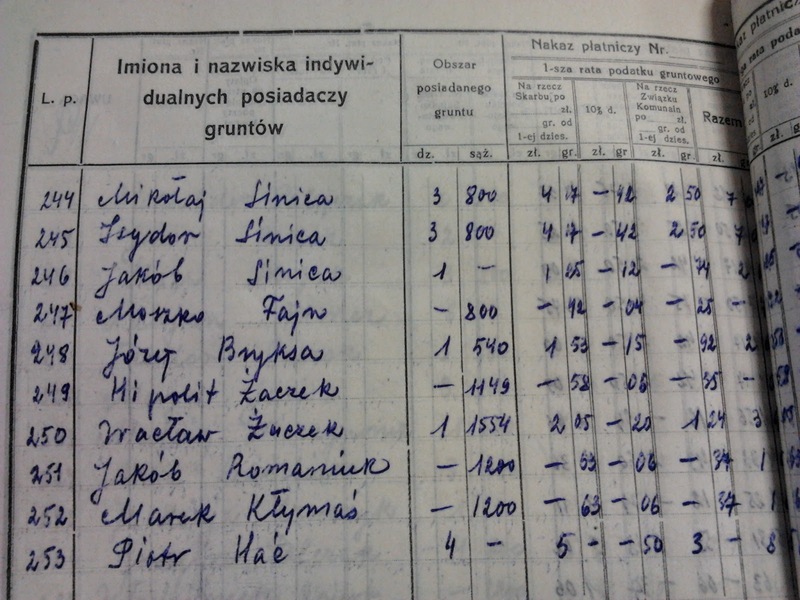 As mentioned earlier, Nechama's mother Mira switched between her two husbands' last names even after both had died. 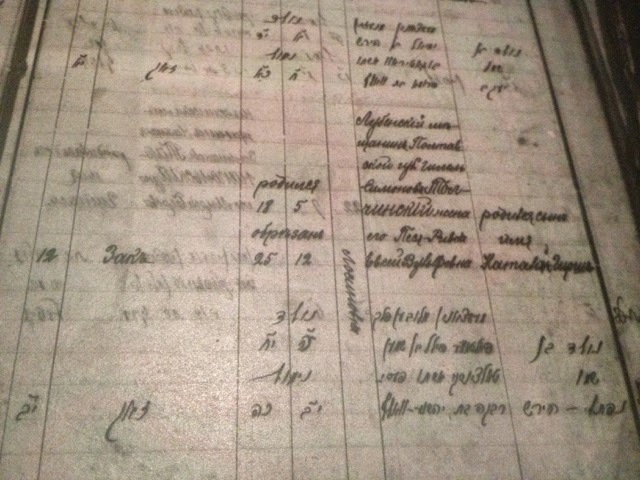 Here, Nechama is listed as an 18-year-old (implying her birth around 1888) servant heading to her brother L. Liffond (which would have been her half-brother Louis Leiffand). As Mira's first husband Yehoshua Zev Lefand died in 1881, Nechama would have been a daughter of Yitzchak Marienhoff. My great-great grandmother's maiden name was....WHAT? Last week, I mentioned how getting the Declaration of Intention for my grandfather's aunt's husband (Morris Dorfman, husband to Jenny Diamond Dorfman) led to finding his ship manifest which contained the names of several other previously unknown relatives as well. Well, it turns out his Petition for Naturalization opens up another avenue for research as well! My grandfather had told me that his Diamond grandparents were Hillel and Hinda Diamond, but he did not know Hinda's maiden name. 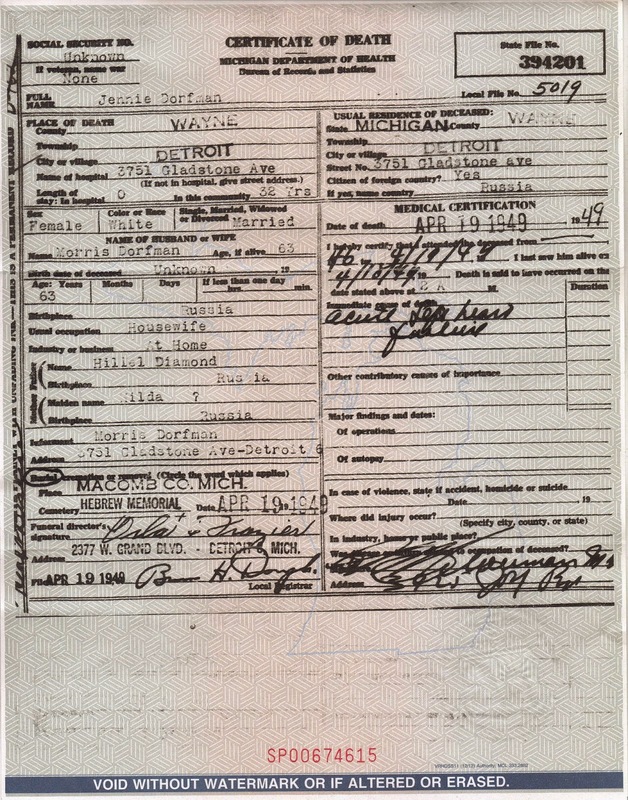 When DNA helped to discover Jenny's large family in the Detroit area, I was hoping that Jenny's death certificate could help to solve that mystery. While the certificate did help to verify that Jenny was, indeed, my grandfather's aunt, it has her parents as Hillel and Hilda Diamond, with the maiden name for "Hilda" unknown. In an earlier post, I traced the life of my great-great grandfather, Hillel Tolchinsky, from his birth around 1865 in what is now north-central Ukraine, through the 1910 census, when he was living in Pittsburgh, Pennsylvania. In March 1911, Hillel's wife Pesha Riva and six of their children came to join Hillel and Isadore in Pittsburgh. Unfortunately soon after their son Naftali Hirsh died. 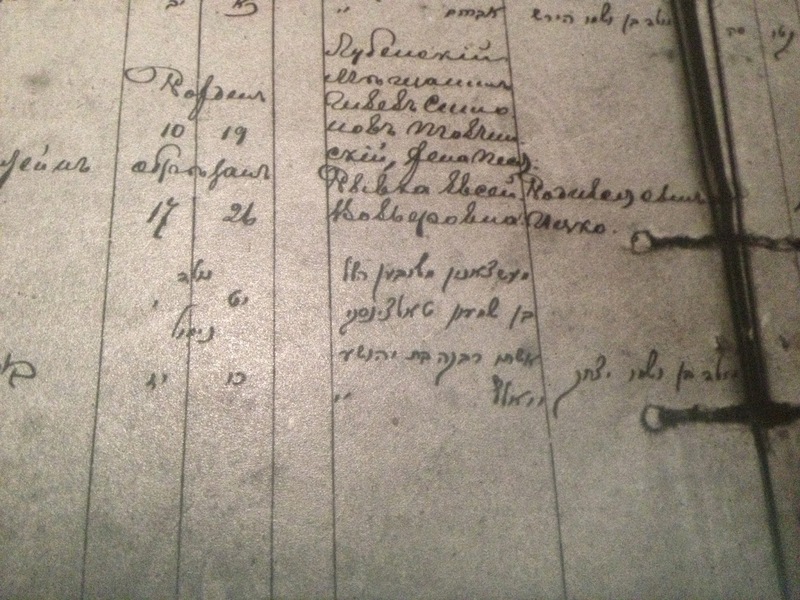 I recently wrote about discovering a manifest for the husband of my grandfather's aunt, which said he was going to his brother-in-law, Leibish Diamond. But interestingly, there were four other individuals on the same page who also listed Leibish Diamond as their destination. At least 3 listed him as a relative; one has a relationship that I cannot read. Motel Landsman, a 28-year-old butcher, said that he was going to his brother-in-law L. Diamond, and that his wife Ester was his closest relative back in Europe. My grandfather had said that one of his father's sisters (therefore one of Leibish's sisters) was Esther! I know know her married name and that her husband came to America. The question then became, what happened to Esther? Did she join her husband in America? Earlier I posted about discovering via DNA testing that my grandfather's aunt, Jennie Diamond Dorfman, had actually come to America. After that, one of my father's first cousins mentioned that there was an Uncle Leibish that she recalled meeting as well. This was another of my grandfather's father's siblings that he had mentioned. I looked, and sure enough, I found that Leibish had come to America! 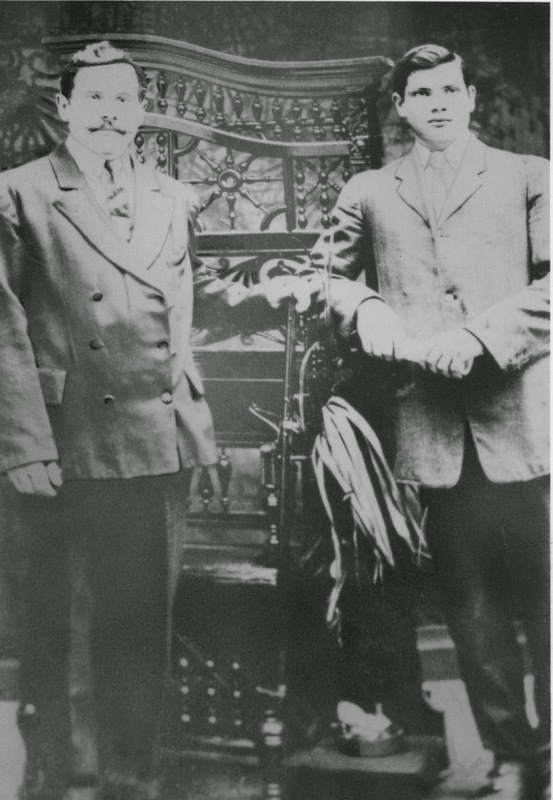 Leib Diamond was a 19-year-old butcher from Biskupicje, Russia, going to Brooklyn (along with line 17, Leib Blaustein) to join a friend Schloime Galperin. My great-great grandfather, Hillel Tolchinsky, was born in 1865 or 1866 (although he later used the birthdate of January 10, 1869) in what is now Lubny, Poltava, Ukraine. His father was Shimon Tolchinsky, and his mother was probably named Chaya. His mother died soon after his birth, and by 1867 Shimon had moved with Hillel to Nezhin, Chernigov, Ukraine and married Risha Frayda Mechansky. In 1882, Hillel was 16 (backing up the 1866 birthdate) and living with his father, stepmother, and siblings in Losinovka, a village just south of Nezhin. 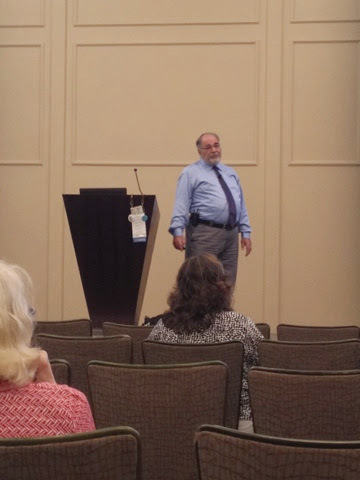 Day 5 of the International Conference on Jewish Genealogy. My entire summary, day by day, here. 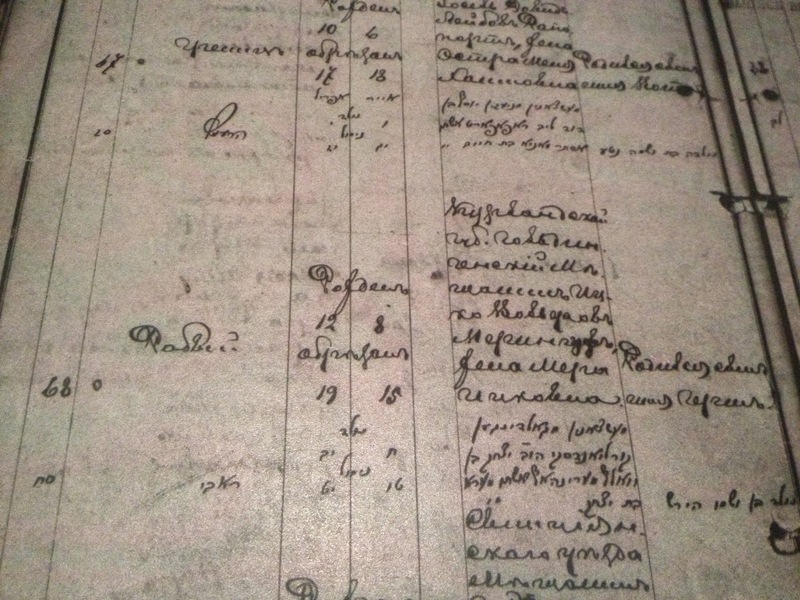 New records including lists of Courland Jews traveling to Kherson agriculture communities in 1837 and 1840. There is a volunteer translator already working on these. 12,000 records are already done and there should be 12,000 to 18,000 more. Day 4 of the International Conference on Jewish Genealogy. My entire summary, day by day, here. Israel Pickholtz spoke about "Beyond a Doubt: What We Know vs. What We Can Prove." He clarified that the question is where there are repeated first names, if you truly believe that one person's father is Reuvain, do you record that as the father? Record it with a question? Or have two separate individuals that can be merged later? Here is the summary of the second part of day 3 of the International Conference on Jewish Genealogy. My entire summary, day by day, here. 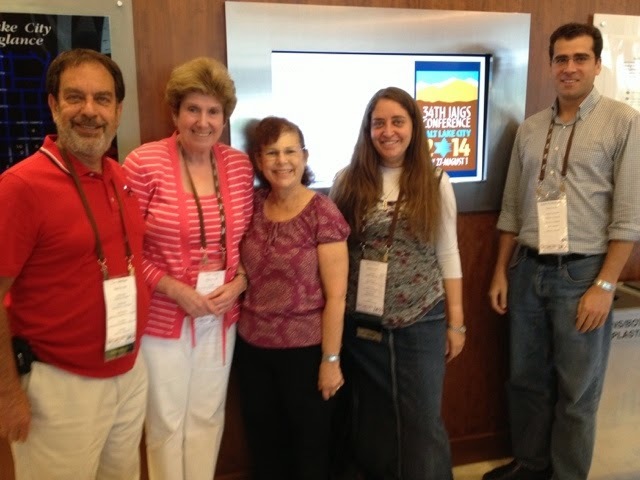 We had a quick photo opportunity for JGS-Maryland members at the conference (minus one). Are you from the Baltimore area? Check out JGSMD! 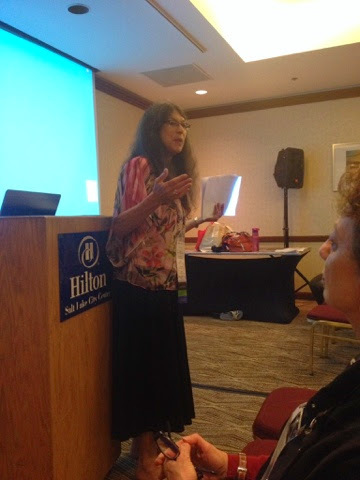 Tammy Hepps of Treelines then spoke on "The Marvelous Moonshiners from Minsk." Her ancestors sold a butter substitute as butter and paid for it. The family moved to Pittsburgh, before some of the family moved to Brooklyn. She never understood why they moved--until she uncovered her family saga. 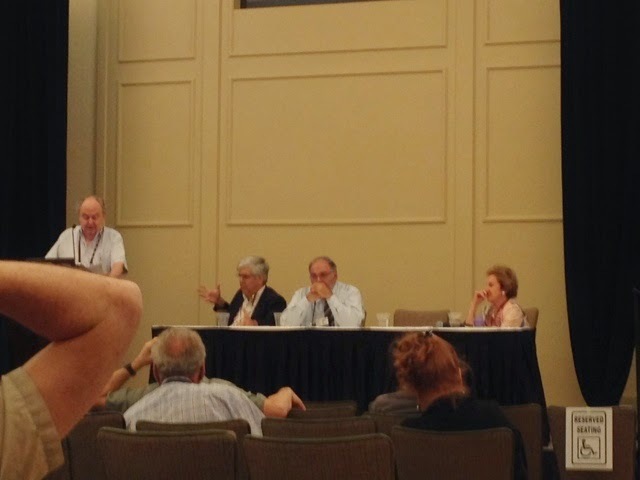 This is a summary of the first part of day 3 of the International Conference on Jewish Genealogy. My entire summary, day by day, here. First up (after a drizzly walk to Starbucks) was the Hungarian SIG meeting. Vivian Kahn covered the current projects' status. There are currently 1739 subscribers to the H-SIG list and many indexing/transcription projects. They are promoting new KehillaLinks pages. They hire people to film the record books and cemeteries. 53,000 vital records including from Maramaros including more than 18,000 birth records (including from images on FamilySearch). They are on FamilySearch as Jewish Vital Records and will be on JewishGen shortly. Day whatever of the International Conference on Jewish Genealogy. My entire summary, day by day, here. And onto the second part of day 2! I then attended a forum titled "Internet Collaboration: How Do We Share Our Family Trees Online?" Sallyann Sack-Pikus was the moderator. It began with each panel member giving his or her individual perspective for 15 minutes. The first speaker was Adam Brown. He stated that everyone in the room is related because we all are Jewish and DNA testing has demonstrated that fact. He therefore uses geni to try to see how we all connect. Geni allows collaborative work. People can add what they know and include photos and information that only they know. Lots of people working together can be powerful and can correct information. In other tools, there can be multiple versions of the same tree. Geni doesn't have that--there are ways to resolve conflicts. Geni is alive and can continually be corrected and updated. Because trees can be merged, geni can identify potential other branches of your tree automatically. Day 2 of the International Conference on Jewish Genealogy. My entire summary, day by day, here. Today has been jam-packed, so this blog post will be divided into two separate posts. 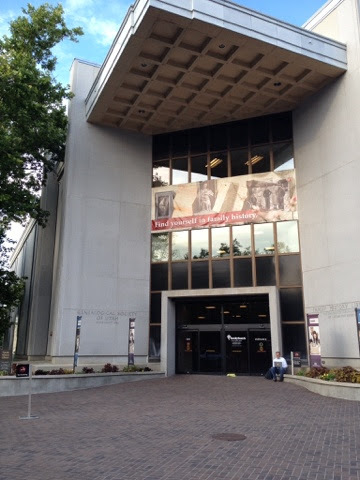 Due to jetlag, I woke up early, so I was at the Family History Library when it opened. I already have gone through the microfilms that the library has for my ancestral towns so I didn't look through films, but the breadth of material the library has is unmatched. I spent a bit of time going through the library but was told to head back later when the library's Eastern Europe expert would be there. Next up was a talk by Ava "Sherlock" Cohn, the photo genealogist (and fellow Shpikov descendent) who spoke on "Clued In: Petticoats and Puttees: Identifying the Clothing in WWI Family Photographs." She has a background in art history and costume history. Day 1 of the International Conference on Jewish Genealogy. My entire summary, day by day, here. 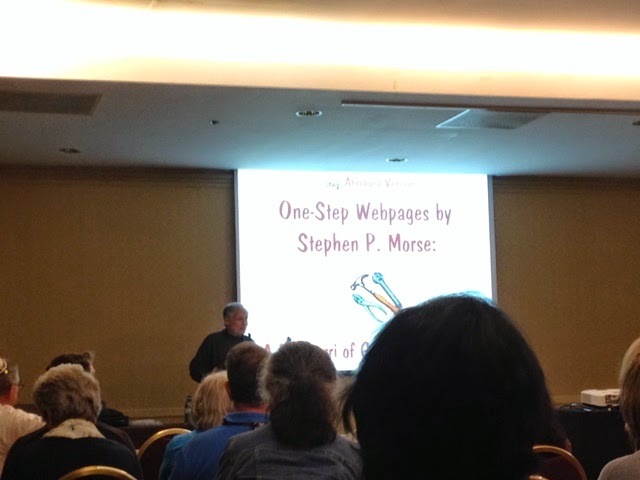 I attended part of Steve Morse's talk. I've used his one-step pages many times, and this was an overview. I jotted down some notes while he was talking. Next week, I'll be attending IAJGS2014 in Salt Lake City I'll also be presenting on Sunday afternoon. Hopefully I'll have a chance to check out the Family History Library (although with the number of films I have on permanent loan locally, I'm not sure what else I'll be able to find) and see lots of genealogy friends (and some cousins as well--some of whom I've met via genealogy). 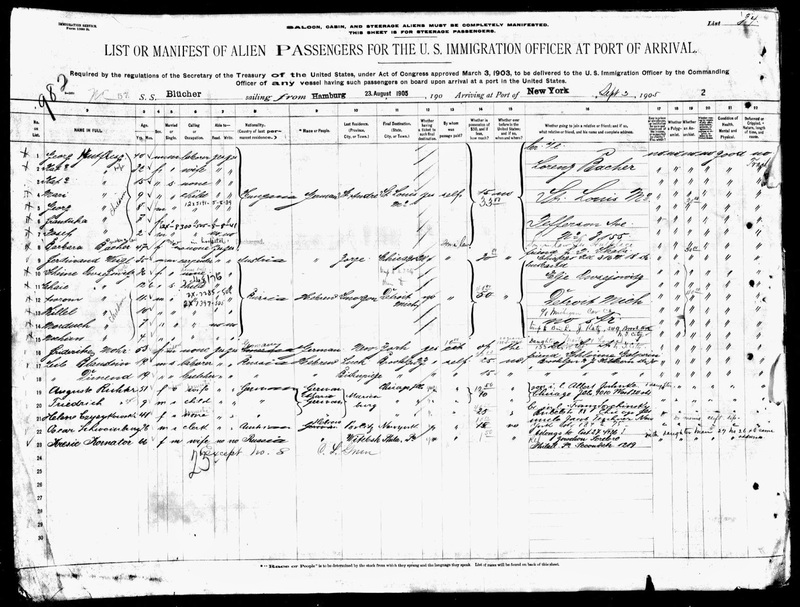 This post fits into both the series of Ancestor Deep Dives as well as tracing the children of my great-great-great grandmother, Mira Halperin Lefand Marienhoff. Pesha Riva Lefand was my great-great grandmother. She was born in what is now Nezhin, Ukraine (and was then in the Russian Empire) on May 24, 1874, to Yehoshua and Mira Lefand. I did a deep dive earlier on my great-great grandfather, Moshe Dovid Fine. Since then, I have a new document that backs up some of the stories that my grandmother had told about him and the fact that he had enough land to have a large vegetable garden and fruit trees. Moszko Fajn owned 800 sazhens of land (equal to about .8999 acres) in Skhlyn. He owed 0.42 zlotys in state tax and 0.25 zlotys in municipal tax yearly. I was named for my great grandmother, Sheva Fine Baich (and my great grandmother Esther Rutner Joshowitz). As I wrote earlier, she was born in 1885 in Shklyn, Volhynia, Ukraine when it was part of the Russian Empire, lived through the Holocaust, immigrated to Baltimore in 1947 and died in Baltimore in 1951. 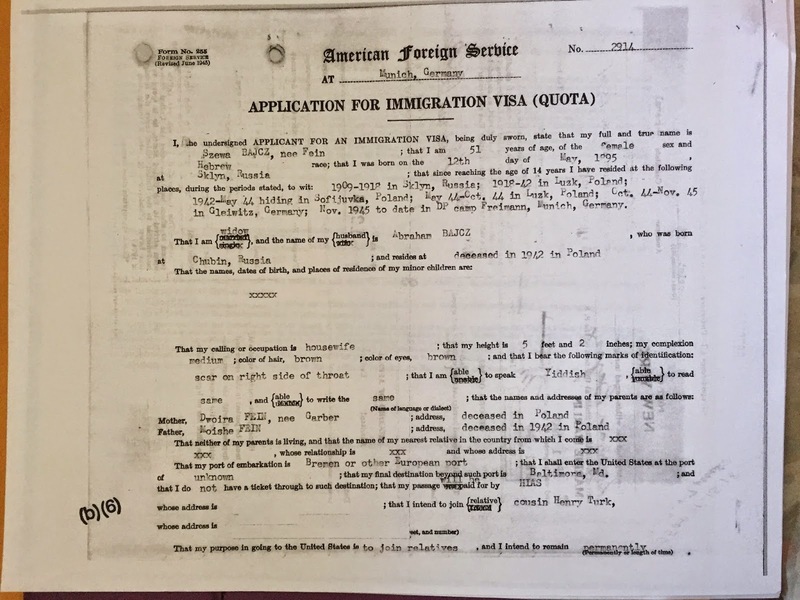 Recently, my father found and gave me the original of her Declaration of Intention, the first step she would have to take to become a United States Citizen. Naftali Hirsh Tolchinsky was a younger brother of my great grandfather Yitzchok Tolchinsky (later Isadore Tolchin). He was born in 1905 in what is now Nizhyn, Ukraine to Hillel and Pesha Riva Lefand Tolchinsky. 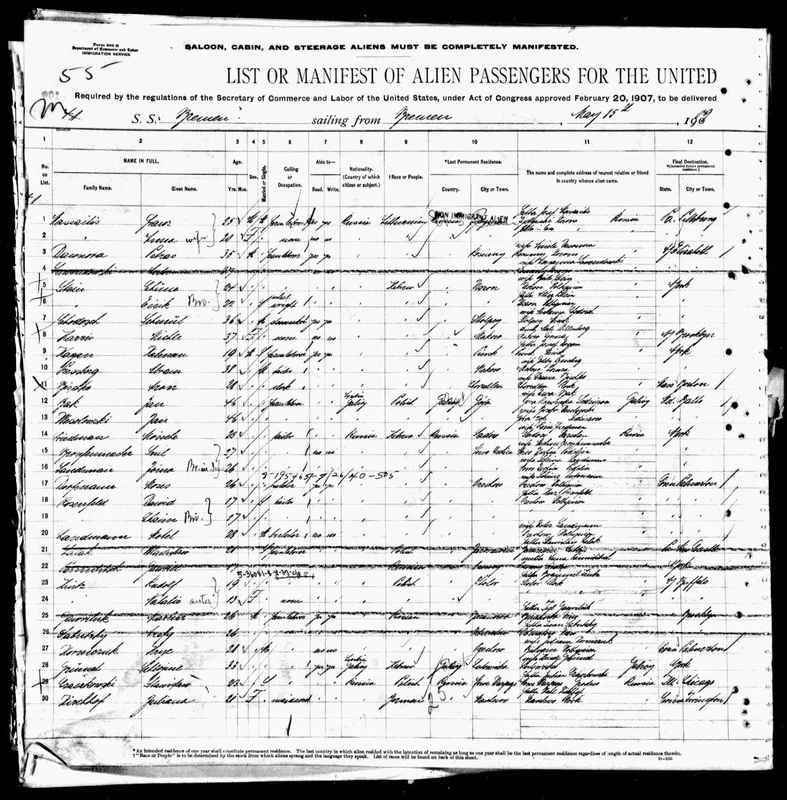 He immigrated to the United States in March 1911 with his mother and some of his siblings, arriving in Baltimore but traveling on to Pittsburgh to join his father and other siblings already in the US. Thanks to my father, we have a short (16:34) interview with my maternal grandparents (Lou & Minnie Joshowitz Tolchin) from 1989. In it, they talk about their families and growing up in Western Pennsylvania (Pittsburgh and McKeesport, respectively) in the 1920s and 1930s. I've converted it from VHS format, and here it is. It even includes my grandfather's rendition of the famous (at least within our family) Schenley High School cheer. The Diamonds Are Coming to America! Today I spent a couple of hours at the Jewish Museum of Maryland. I'm still going through everything I found there, but the last thing I went through was my grandparents' HIAS (Hebrew Immigrant Aid Society) folder. 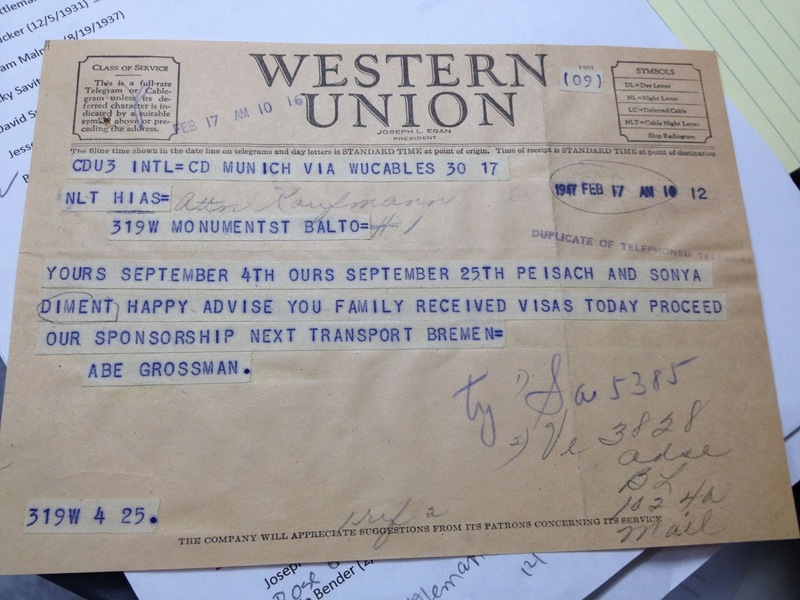 There were dozens of pages of correspondence tracking the Baltimore-based family (particularly Clara & Nathan Zuriff and Henry & Jessie Turk) working on helping my grandparents and great grandmother get out of their DP camp outside Munich and get them to America. My great grandfather, Avrohom Tzvi Diamond/Dimant, was killed in the Holocaust in 1942. Other than his name and some stories about him, nothing of his survived--no pictures, no documents, no posessions.